Notes: I was judging a photographic competition in Colchester this evening, so dropped in to visit my parents nearby for dinner beforehand. 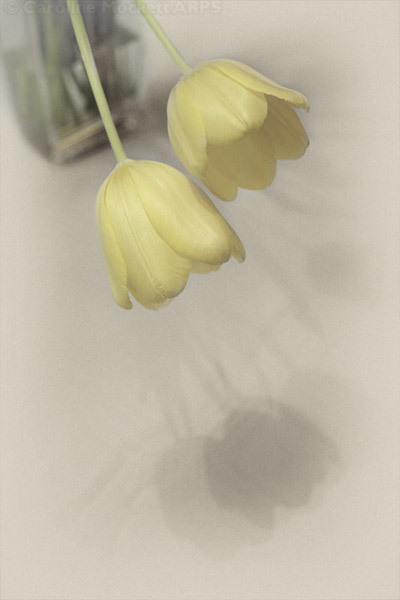 This was a rather droopy pair of tulips in a vase on the dining table. I did a bit of “fiddling” to give it an antiquated/hand coloured look.